Have you been hearing a lot of talk about Tailwind lately? What are those things bloggers are using and how come it’s helping them grow their traffic? What’s the big hype about them? This is how I thought about it too before I started using Tailwind. See, before Twins Mommy I started Elna Cain. I didn’t invest in any social media scheduling tools; just pinned when I wanted, tweeted here and there and posted on Facebook when I had time. No big deal. My traffic slowly grew and in the two years of it being up, I had around 12k pageviews. But, when I started Twins Mommy, I wanted to try something completely different. 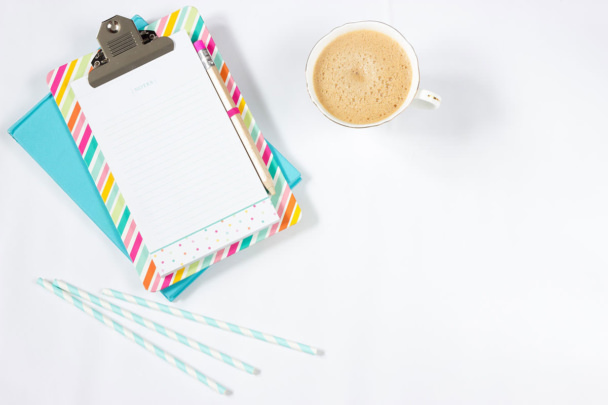 I wanted to connect with other mom bloggers and grow my blog and I knew I had to get on the Pinterest train to do this. But, because I have twin toddlers running around me, clients wanting their epic posts, a house to take care of and dinner to make each night, I couldn’t sit and pin all day (although I would LOVE to do that…Pinterest is eye candy for me). I had to find a way to get noticed on Pinterest, since I was working hard at optimizing my presence on that platform without wasting my time. In came my bae, my BFF, my one and only Tailwind to the rescue. Before I started growing this blog, I had around 84k monthly viewers. I barely pinned and it was erratic for sure. Within 3 months of using Tailwind, my traffic increased by over 360%!! Whoa! I couldn’t believe the growth. My pageviews went fro 0-18k in three months. Remember when I told you that after two years of blogging on Elna Cain, I barely had 12k pageviews? Uh. Yeah. Tailwind made that happen. I didn’t even have an email service provider and wasn’t thinking about starting an email list at the time. 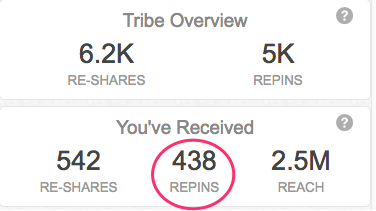 After three months of blogging and pinning, my subscriber list went from 0-643! I couldn’t believe how fast my list was growing. For my Elna Cain site, it took ages to get 600 subscribers and with a brand new blog and using Tailwind to share my posts on autopilot, I managed to get a big chunk of subscribers. I didn’t try to start monetizing Twins Mommy until a few months ago, but it really wasn’t going anywhere. I didn’t have a strategy and I didn’t have a lot of affiliate links to share. 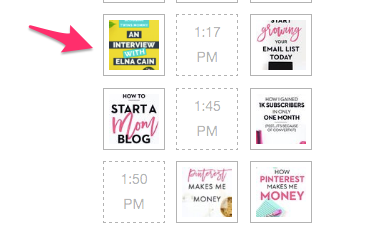 So, when I started using Tailwind, I also started using it for my Elna Cain site, and just scheduling my pins (and having a marketing strategy) helped me boost my income for my course. 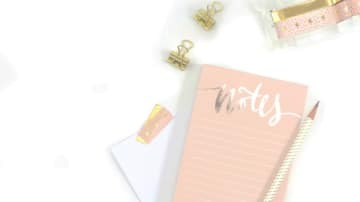 So, when I started to hone in on my affiliate income on this blog, I couldn’t believe how quickly I was generating money! I quickly learned that Tailwind was the perfect tool to help me get my marketing strategy on the right foot. Currently, I’m using Tailwind and let me tell you that it has a lot more and better features for a scheduling and marketing tool than other scheduling tools. Tailwind totally rocks when it comes to providing the best features to make your life so much easier. Here are my favorite features I cannot live without. Tailwind Tribes is like a group board on Tailwind! You can share your content and get more repins in these tribes. Anyone can join a Tailwind Tribe – you don’t even have to be a Tailwind user to be in a tribe! I love Tailwind Tribes because I can go into different tribes and schedule all my pins for others in minutes – all in Tailwind. On top of that, my reach and repins soar when I use tribes. What’s great is that I can quickly look how my pins and boards are doing and how many new followers I’m getting each week. 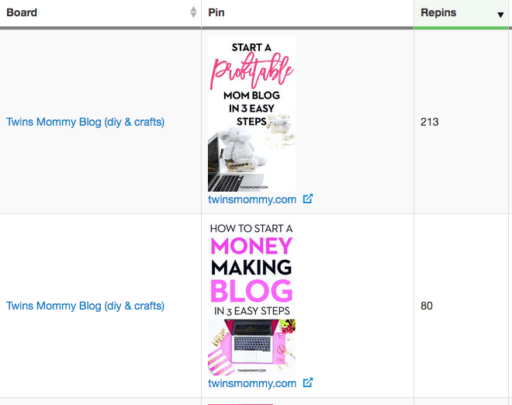 These Tailwind analtyics can help you hone your marketing on Pinterest so that you can pin to the right group boards and find out which pins are getting the most repins so you can schedule those more. Board lists are the ultimate best feature Tailwind has. If you’re strapped for time – I mean who isn’t right? – then Tailwind has got your back. The ONLY way I schedule my pins with Tailwind is with board lists. I belong to a lot of group boards and it would take forever to pin my pins to each board one at a time. But, Tailwind recognized that and solved that problem with board lists. Board lists are lists you create of all the boards you want in that list and then when it’s time to schedule your pin, you just choose which board list it goes to. 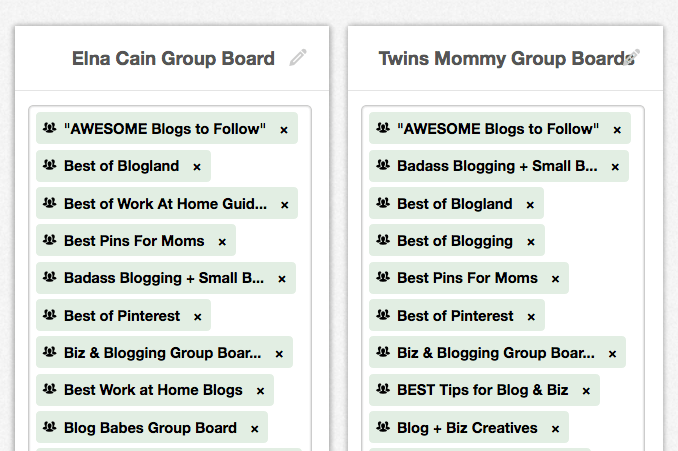 If I have a post about Pinterest I can also schedule that for my Twins Mommy board list and my social media list in seconds! If you want your pins to reach the right people, you need to pin when they’re on Pinterest! Tailwind is able to look at the performance of your pins (after a few days or so) and suggest optimal times in your pinning schedule. These times are noted in a green dashed line. This is a fantastic feature so that you’re not putting your pins out there when no one is seeing them! If I want to add those time I just click on the time and I’m done! 5. You Can Use Tailwind For Free! Tailwind offers a great free trial to see for yourself how ah-mah-zing this tool is. Sign up to Tailwind right now and receive your first 100 pins for free! I suggest you start pinning 20 pins a day so that’s 5 glorious traffic boosting days you can use Tailwind – for free!! Why Is Tailwind Different Than Other Scheduling Tools? Tailwind will and always be the big driver of my traffic since I use it to pin to group boards and group boards have a much bigger reach than my own boards. There are some huge difference between Tailwind and other scheduling tools. Pinterest has officially announced Tailwind as an approved scheduling tool. Buffer is the another approved scheduling tool for Pinterst. This is big mamas! Tailwind keeps your information private and you don’t run the risk of your account being banned (unless of course, you are using Pinterest in an ill way). Do you know what this means? It means it’s super simple to move your pins around and drop your pins in a certain time slot, which is super easy and super visual. What’s awesome about using Tailwind is that you can have unlimited pins for only $9.99 a month (when you pay annually, which I recommend doing to save the most). Tailwind has been a big part of my traffic. 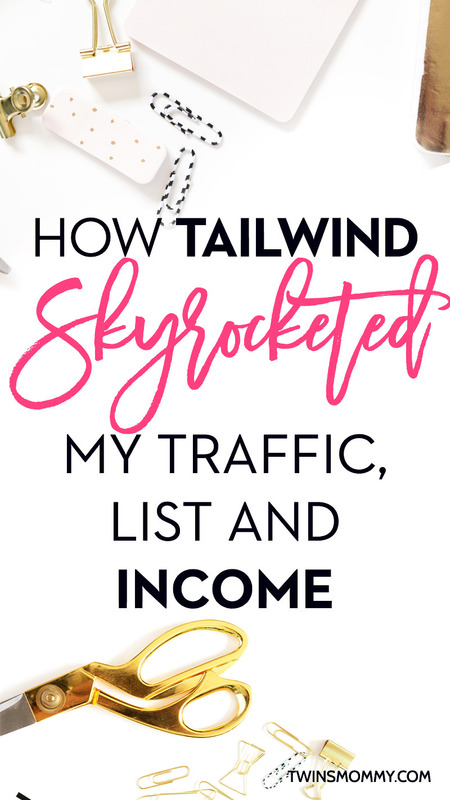 It’s helped me grow my blog, list and income and I can’t thank Tailwind enough! If you want to reach more people, get more comments, grow your traffic and more, sign up to Tailwind for free and start scheduling! I think in the side bar of Mom to Mompreneur there’s a link to the tribe. Miranda Nahmias is the owner of the tribe, not me! This is so helpful Elna! I just recently started using Tailwind and am still trying to figure out how to use it to get the most out of it. I’ll start using those Tribes!! Great post as always, Elna. I agree with you 100%. Tailwind is a great game changer. I just began to use it one month ago and I noticed I moved from 3k monthly views to 137k monthly views. I am hoping to get more website visits as that trend is hopeful. Nice! Yes, Tailwind is much more important NOW than ever before. With BoardBooster shutting down bloggers have to rely on either Tailwind or Buffer for Pinning automation! I just signed up for Tailwind this morning and I’m trying to learn absolutely everything I can before diving head first. I’m SO excited about the idea of board lists!!!!! Ahhh, can’t wait to cut my Pinterest time in half. That’s awesome. I hope you are finding the pin tutorial helpful! Can you schedule the same pins to Tailwind for more than one time frame? I would like to know before I start doing this. I am looking forward to this project. 🙂 Thank you. I think you can manually set duplicate times in your schedule and then Tailwind will just put a pin in that slot. So yeah you can! 1. What is the duration for Tailwind’s free trial? 2. What is the monthly cost for the Tailwind subscription? I couldn’t find any info on this. Thank you. The cheapest route to go is to pay annually. You pay only $9.99 a month, but an upfront investment. This is ideal as it’s unlimited pinning, which means you can tailor your pinning strategy for what works for you. You may do 50 pins a day, but if you are promoting something like a new lead magnet you may change to 80 times a day. I love reading your blog. I enjoyed your post on taliwind it was detailed really good. I tried taliwind for free and like it better than viraltag and board booster. I believe I will have to try a subscription my manual pinning method isn’t working. It seems like I have to work endless hours just to get 10 or more visitors a day hopefully taliwind will help. I’m curious is taliwind tribes like Pinterest groups I’m still curious about taliwind tribes and would like to learn more. How many pins do you recommend to pin a day? How many pins in your opinion is to much to pin in a day? What is a good balance? Thanks so much! Yes, I love Tailwind so much. It’s on autopilot for me. Manual pinning is a good method to drive traffic but you can’t pin all day!! 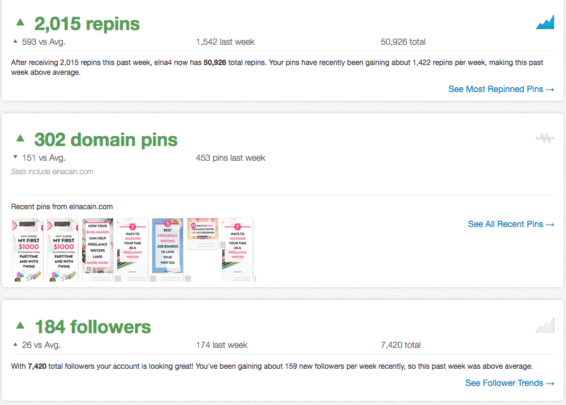 If you have a new blog, I suggest to start pinning up to 20-30 pins (of your own) a day. Move up to 50-100 and if still low traffic, bump to 200. But, only do this if you are on a lot of group boards (over 100). If you are not, then you can’t pin often. The more group boards you have, the more you can pin. How much is too much? 200. I would only do that for a few weeks and then drop to 150 and then 100. I’m at around 100 with Tailwind and 45 of Board Booster. Do you need to be set up with various group boards BEFORE you join Tailwind? You don’t need to join a lot of group boards before joining Tailwind. If you have a lot of personal boards and a lot of pins you can schedule 25-50 a day no problem. Thanks so much for this post! I am a newbie blogger myself and have been reading loads and loads about Pinterest driving traffic and to use Tailwind/Boardbooster but I haven’t yet invested in one or the other because I keep going back and forth! I think Tailwind is ultimately going to be the winner for now. How much of the stuff do you pin that is your own content and how much is repinning of others? Excellent post! Very detailed. My blog is a newborn and of course, like any new Mommy I am slowly getting to know my baby and her quirks haha. I have created a pinterest business acount just for my blog and really want to start using Tailwind but I’m not sure when is a good time to start using it. Should I build and post tons more content first? I have about 7-8 posts (complete newbie 🙂 ). How many do you recommend I have before I jump on the Tailwind Bandwagon? That’s great to hear. For Tailwind, you can start using it now, just don’t pin too often. Get on more group boards and then you can pin around 25 times a day. With more posts you can schedule more and with more group boards you can schedule more! Good luck! That’s good to know! I will have to snoop around on their website and read some more so I can start using it soon. Wow, Elna – 100 times per day. You are the Pinterest goddess! How do you keep up with that schedule – even with Tailwind? I think you could do a whole post on this. I am really enjoying your site and the knowledge that you share. Thanks so much! Ha thanks! For me, 100 times a day is nothing! Tailwind makes it super easy. I just click my boards list and boom! It’s done 🙂 Thanks for stopping by! Thank you Elna for this inspiring post! I was just going to look into what Tailwind tribe is all about and the comparison with Boardbooster is very informative too! I’ll be checking out the tribes for sure. Thanks so much! Have fun with the Tribes! Also, I contacted Tailwind about Tribes and here’s what was sent to me: Tribes is in an early alpha now, and the only to get access to the feature is to get a Tribe invite from somebody and accept it 🙂 Once you do you’ll see it in the menu on the left. We’re currently working on a way to allow people to search for Tribes and request to join them… but we’re still a couple weeks away from launching that! And until then, snagging an invite is the only method for now. Would you be willing to add your readers to your tribe? Thanks so much. Yes Tailwind is awesome isn’t it? I have a post on Tailwind tribes and anyone can be in my Tailwind tribe 🙂 Yes, I am pinning 100 times a day right now. I use to pin 200 times a day! Lots of great info! I have been using Tailwind for almost 2 months now, and love it. However, I was not using the “Board Lists” feature. I need to get that set-up! Thanks! That’s great! Yes! Board lists are soooooo amazing! I LOVE LOVE LOVE them 🙂 They make pinning so easy. One click and you’re done for the week! I’ve signed up for Tailwind like 6 months ago but I haven’t been really using it regularly. This post is so inspiring and I know I need to get back on it again. I’ve heard of Tailwind Tribes to increase traffic and your post proves it! Always giving us the goods!! Thank you! Well I try 😉 I love helping people. Must be the teacher in me! So happy for you and how well things are going hun! Keep rockin’ it! Thanks so much and that’s awesome you found some new features for Tailwind! I love Tribes and they’ve totally helped me with repins! Great case study of Pinterest. Seeing your case studies, I tried to focus on Pinterest. I have not tried to jump over paid plans but as your case study shows tailwind’s features. I am thinking to dive in. Thanks so much. Yeah, I only started using Tailwind when I made this blog so it’s still new to me but I love it!